You’ve likely got a friend that has tried acupuncture. Or a friend of a friend, at least. You’ve always wanted to try it because you’ve heard of the endless benefits from pain management to fertility treatments. But what is acupuncture exactly? It is defined as a system of complementary medicine that involves pricking the skin or tissues with needles, used to alleviate pain and to treat various physical, mental and emotional conditions. Originating in ancient China, acupuncture is said to now be widely practiced in the West. The Mayo Clinic further defines this as an insertion of extremely thin needles through your skin at strategic points on your body. It is noted as a key component of traditional Chinese medicine and most commonly used to treat pain. 1. It is stated that Traditional Chinese medicine explains acupuncture as a technique for balancing the flow of energy or life force known as qi or chi (chee) – believed to flow through pathways (meridians) in your body. By inserting needles into specific points along these meridians, acupuncture practitioners believe that your energy flow will re-balance. 2. Otherwise, many Western practitioners view the acupuncture points as places to stimulate nerves, muscles and connective tissue. Some believe that this stimulation boosts your body’s natural painkillers and increases blood flow. So what’s with all the hype? Well, let’s get started with the benefits and risks as outlined at Medical News Today (dot com). 3. It is noted that acupuncture is now a staple in integrative medicine that nearly anyone can benefit from. Integrative Medicine is defined as an evidence based medical practice that treats the whole person and not just the illness and is a growing trend. This holistic approach to healthcare is helping individuals across the world live full, healthy lives with treatments that complement Western medicine. According to Best Medicine News, the use of acupuncture as a complementary therapy to Western medicine – not simply an alternative therapy – is becoming more widespread. Acupuncturists today receive training to better help them integrate with conventional medicine, and requirements for licensing are more stringent. According to the Mayo Clinic, many people who have chronic low back pain have found that acupuncture is helpful. It is otherwise noted by Renown Health that the side effects of acupuncture for low back pain are substantially lower than many drugs and medical conventions used to treat this chronic condition. Studies have shown that acupuncture combined with Western medical treatments offers more benefits to patients than conventional medicine alone. Furthermore, according to a report from WebMD – one study was the largest investigation of acupuncture vs. conventional nonsurgical treatment for lower back pain ever reported, researchers say. This was a German study conducted in 2007 among 1162 participants with chronic low back pain that were treated with traditional Chinese acupuncture; sham acupuncture or a conventional approach to treating back pain using drugs, physical therapy and exercise. It is stated that acupuncture with western medical treatments, including pain relieving drugs, has proven to reduce the frequency and/or severity of tension headaches and migraine in many patients. 7. Again, according to WebMD – acupuncture helps reduce days with migraines and may have lasting effects, according to a study published in the Canadian Medical Association Journal in 2012. In the study, almost 500 adults were treated with either traditional Chinese acupuncture or a sham treatment in which acupuncture needles were inserted in nonspecific points. 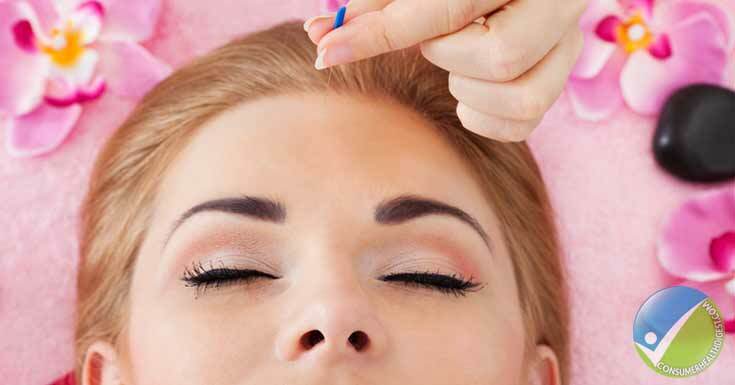 It is stated that the acupuncture treatment points were previously used to study migraines. Participants did not know which type of acupuncture treatment they were receiving during the four week study. 8. 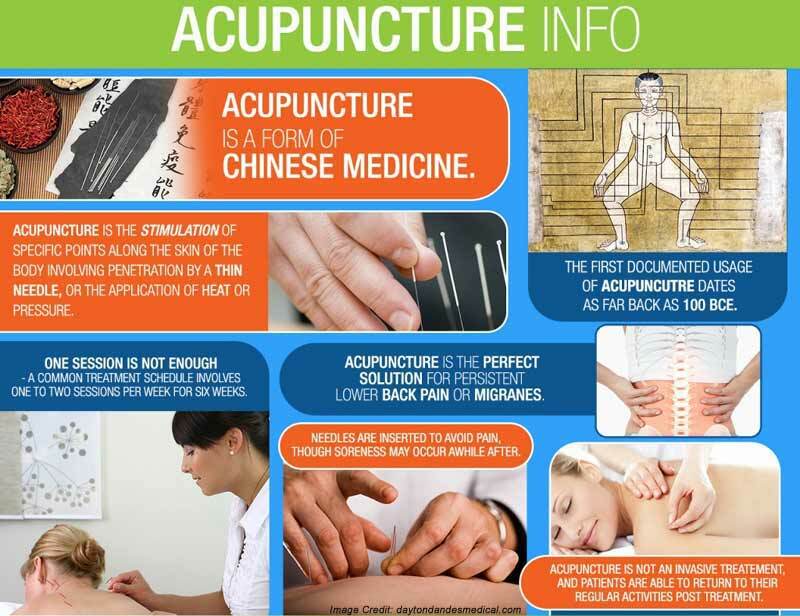 As a side note – Sham Acupuncture is typically defined as acupuncture for an unrelated condition, needle insertion at nonacupoint locations, or noninsertive simulated acupuncture. Sham acupuncture is said to be used as a control in scientific studies that test the efficacy of acupuncture in the treatment of various illnesses or disorders. Nonetheless, after completing the study, all of the participants – including those in the sham group – reported fewer days with migraines than before the study began. Prior to the study, most suffered monthly migraines, on average six days of migraines per month. After the study, they reported migraines on an average of three days in the month. Take note that the lasting effects were seen only in study participants who received traditional acupuncture treatment. As noted – while the medical community continues to study the effects of acupuncture on depression and mental health issues, current information shows that some patients suffering from depression, especially women, respond well to acupuncture. According to one report – a growing number of people are seeking alternatives to antidepressant medications, and new research suggests that acupuncture could be a promising option. A study is said to have found that the traditional Chinese practice to be as effective as antidepressants, and a different study found that acupuncture may help treat the medications’ side effects. It is reported that one study, published in the fall of 2013 in the Journal of Alternative and Complementary Medicine found that electro acupuncture – in which a mild electric current is transmitted through the needles – was just as effective as fluoxetine (the generic name of Prozac) in reducing symptoms of depression. Accordingly, the benefits of acupuncture for stroke victims continues to be researched. Current studies show that many patients experience relief from conditions resulting from stroke including chronic paralysis and spasticity – even patients who have suffered with these health issues for many years. In an article posted to the American Academy of Medical Acupuncture it is stated that acupuncture therapy for stroke-caused conditions such as paralysis, speech and swallowing problems, and depression is commonly used in the Orient. It is stated that in some cases acupuncture has been shown to enhance reproductive medical procedures, including in vitro fertilization (IVF). Acupuncture may also stimulate blood flow and egg production in women. From Parents Magazine, we learn that several studies have found that women who get acupuncture treatments – whether to treat conditions that can interfere with getting pregnant (such as polycystic ovary syndrome, or PCOS) or to increase the chances of a successful IVF — have a higher rate of pregnancy and births. It is noted that some fertility doctors recommend acupuncture for their patients to help lower overall stress levels, because stress hormones can lower fertility hormones like progesterone. “I’ve referred patients to acupuncturists to do acupuncture in conjunction with a number of fertility treatments,” says Kathleen M. Brennan, M.D., a reproductive endocrinologist with the UCLA Fertility and Reproductive Health Center in Los Angeles. You May Also Like: Can Acupuncture Help to Treat Dark Circles Under Eyes? The conclusion was that “acupuncturists’ communication of optimism about treatment effectiveness contributed to pain and function outcomes indirectly through its effect on satisfaction during treatment. Future research should model pathways through which clinician patient communication affects mediating variables that in turn lead to improved health outcomes. As should always be noted – speak with your doctor. He might have a referral for you after all!